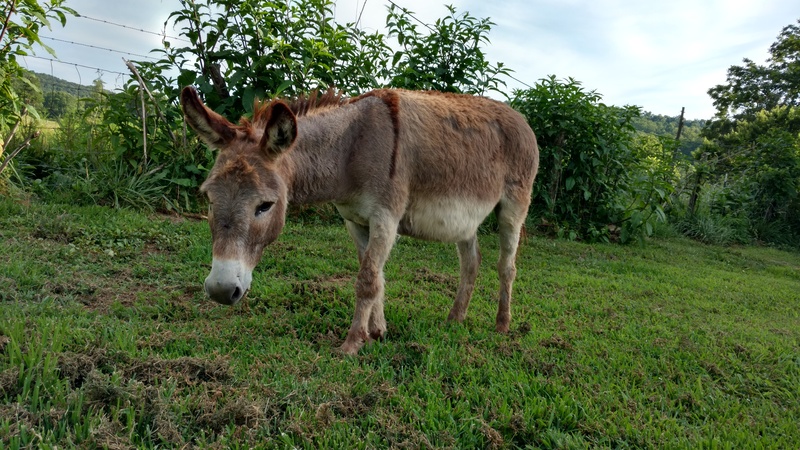 Since we’ve been hosting Sorghum Days, I have been wanting a petting zoo and since I have cats, chickens, ducks, cows… I wanted a little donkey. I have for a couple of years. This year, Jeremy surprised me with this little guy! We asked our friends to give us ideas on names… Very simply most came up with Eeyore which is cute and who doesn’t love Eeyore? 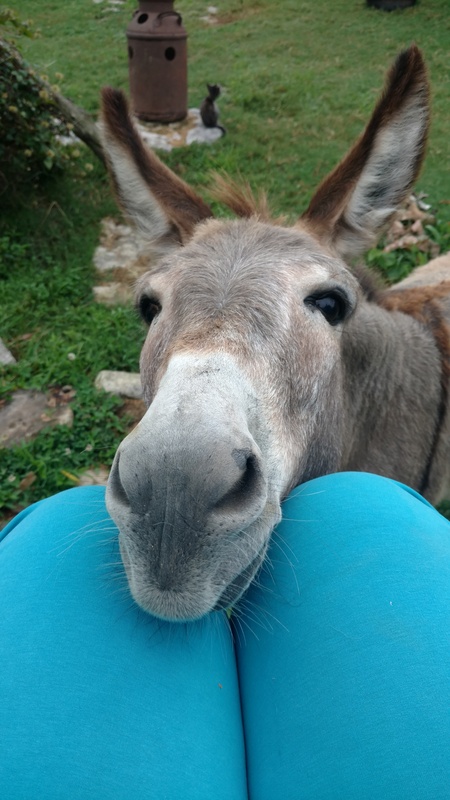 But I tried it out loud yelling for the donkey to come in… It sounded ridiculous, even though I do like the name saying it was a whole different situation. He is so awesome and sweet and he makes these cute little squeaky noises when he’s happy your around or when he wants carrots or apples. Being curious opens up so many doors that you never knew were there but once you’ve opened the initial one that starts it all… My door was gardening. Gardening lead to: How can I make our homestead sustainable (We haven’t completely got there yet but it’s a goal and we do the best of our ability with what time we have available) and within that thought… Money. Everything takes money to start almost any project. I would research all these plants that I wanted to buy that would help with the ‘Stead being sustainable but after a while things really start to add up. So then I wondered… What grows here in my state, in my area? What can I just attain by going out in the woods. I mean, I grew up here in Missouri so I have a good idea about foraging though I never really called it that at the time. I’ve hunted mushrooms since I little which was a start. Now I’m at this point where I just want to learn as much as I can about plants and their uses. Once I do, I try and see if it grows here in Missouri and try and see if I can harvest it or how I can get my hands on it. I guess I’m just trying to say… The sky is the limit? I didn’t know anything a few years ago but I was CURIOUS and I was willing to research, willing to learn. I just thought I’d throw these few thoughts out in case people are wondering where to start?? Hope this helps someone! Any thoughts? Feel free to comment with your own story!